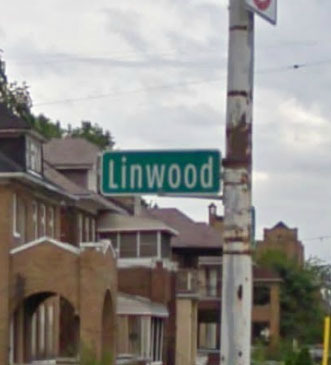 Linwood was woven through my life from the time we moved on Calvert, between Linwood and Lawton, 1954 until I moved from Detroit in 1972. If I have done blog posts on the spot already, I will provide a link to the earlier post. To view Linwood, Detroit in a larger map, click on the blue link. 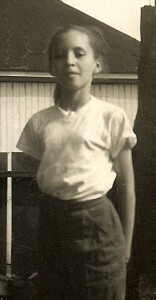 I was about 9 when we started taking Saturday ballet classes at Toni’s School of Dance Arts. They went on for several years. We wore blue tutus, black ballet slippers shoes and white ankle socks. There was a bar and a wall of mirrors. I learned the five ballet positions and to point my toe. Each year culminated in a big recital at the Detroit Institute of Arts. On the Saturday before the recital all the students spent the day at Toni’s so that the entire program could be gone through. Those not performing would wait outside in the walled in yard of the studio. It was crowded and hot. 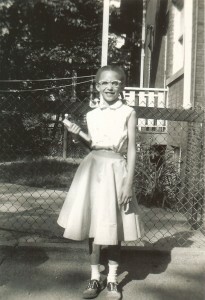 For the performance one year we wore white calf length dresses, net over satin fabric. The next year we wore net tutus. I had bright blue. My sister’s was bright green. My mother thought the costumes were getting too expensive. I don’t remember minding when we stopped going about the time we moved off of Calvert. Unfortunately, I don’t have a picture of myself wearing a dance outfit but I picture the me in this photograph wearing a black leotard and blue tutu, white anklets and black ballet slippers. 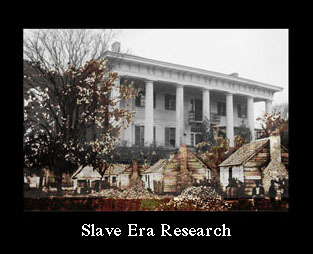 The Black Conscience Library building with photos. From L to R. My dog Big, Phil, Dewy (later Chimba Omari), Malik, Miriam, Jim, Me, Longworth. 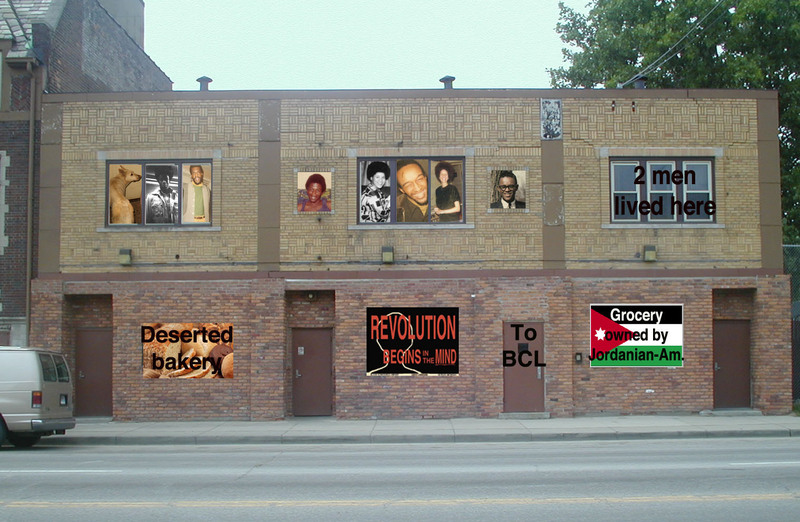 Downstairs was the deserted bakery that took up two spaces. I put our sign over one and a very small, poorly stocked grocery store owned and run by a Jordanian. He was robbed numerous times while we were there. The Black Conscience Library was located here from the winter of 1969 to the spring 1970. In addtion to a small collection of books there were classes and movies related to black history, culture and freedom struggles in various parts of the world. For more read – Once I Worked In A Sewing Factory. I attended 2nd through 6th grade here. 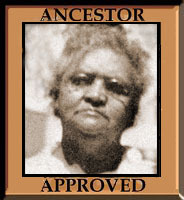 My mother taught Social Studies there from 1954 through 1965. We also cut across the athletic field from Linwood to get to and from Roosevelt. The building is no longer there. I attended half of the 7th grade at Durfee. I learned to swim in the pool. The school address is not on Linwood but, the back of the school is. 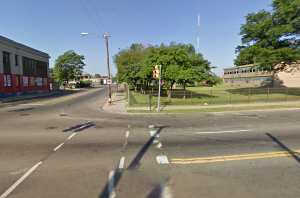 We walked across here to get to school when we lived on Calvert between Linwood and Lawton. I remember a neighbor lost her boot in the snow cutting across this field in 2 feet of snow. Once my sister and I went with our mother to fly kites here. 2705 Calvert between Linwood and Lawton. I lived here, from 1954 to 1959. We bought penny candy and fudgesicles (ice cream on a stick), from a store on the corner of Linwood and Calvert, walked to school down linwood and at times walked blocks and blocks to activities at church. Read more here – “C” Is For Calvert. Linwood and Chicago Blvd. – Detroit Rebellion Journal – 1967. 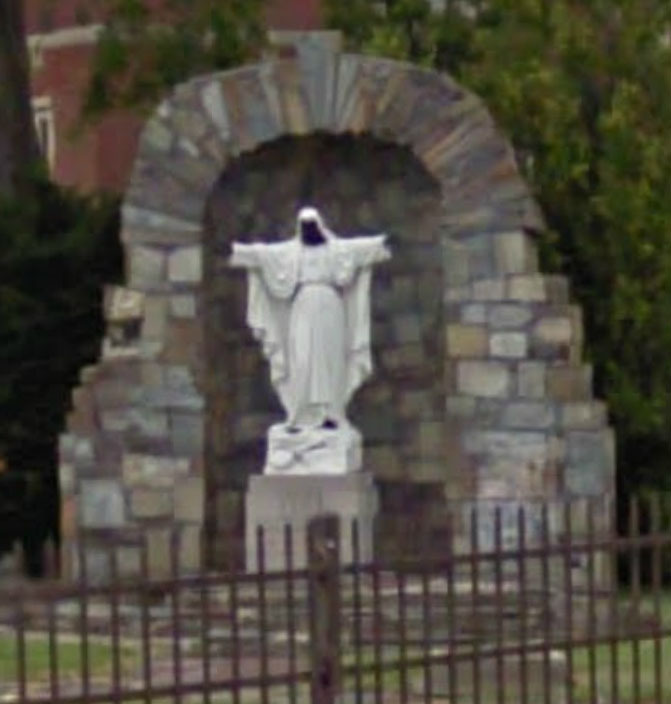 During the 1967 riot, this statue belonging to Sacred Heart Seminary was painted black. It was repainted white and then repainted black. It has stayed black right through to the present. 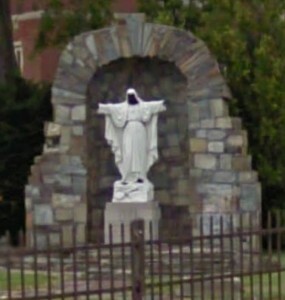 You can also find more photographs of the statue here. I crossed the street here at Linwood and Joy Road when I attended Brady Elementary School for kindergarden and part of 1st grade. There was also a block with the bank my mother used and the dime store we spent our pennies, one block down. The photo is looking across Linwood to Joy Road. 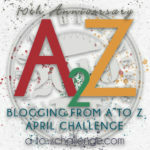 Read more here “A” Is For Atkinson. Shrine of the Black Madonna. 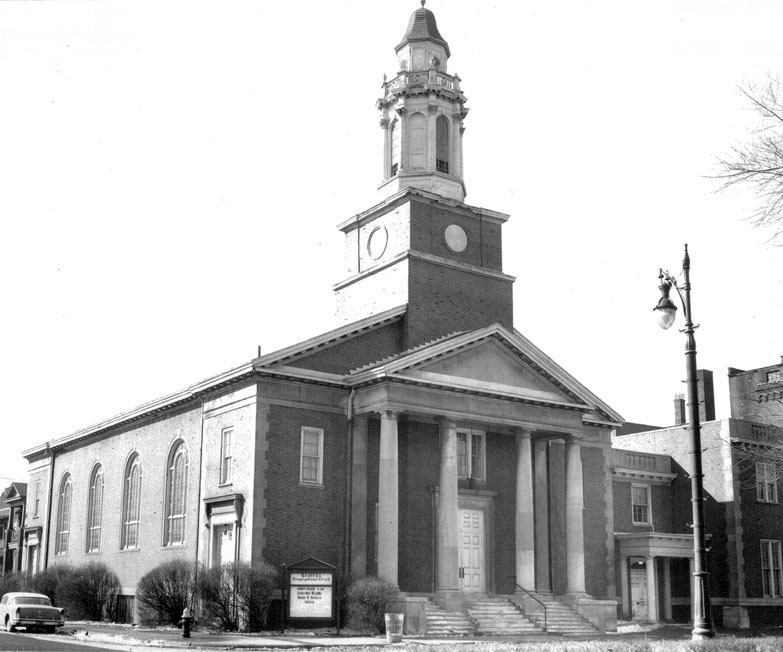 Formerly Central Congregational Church. 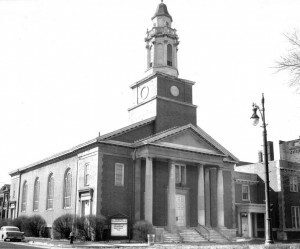 The church I grew up in, pastored by my father Rev. Albert B. Cleage,Jr/Jaramogi Abebe Agyeman Read more here – “H” is for Linwood and Hogarth. I love the way you’re approaching this series Kristin and I can see that you are putting a lot of thought into it. The whole series will make a great family collection. It’s so helpful that you show us the google map combined with images so we can see where you’re talking about. Ah those ballet lessons -how I loved making the costumes, not! The ice-skating ones weren’t much better but the teachers were less pedantic. We didn’t make the costumes, we had to all order them from the same place. I’m pretty sure we would not have been in even one program if my mother had had to sew our outfits! She wouldn’t have. I still know how to point my toes though. We didn’t take ice skating lessons. My aunt Gladys and uncle Hugh showed us how to skate. We had racing skates because they did. My own children never took those lessons because we were out in the country much of the time. I am remembering a lot myself. I have other places/streets that are not making this cut and I will have to do them later. I will be interested to see how they fit together when I’m done and put them in chronological order. As Pauleen said, this is going to be an amazing collection of memories of places related to your history. I am still in awe of the amount of detail you remember and include, it’s great anecdotes that really make it. I love this series. You stories are great. I remember a lot of those places. You have such wonderful childhood memories. Love the pictures.